Ok, I’ll admit it, it’s not really ice-cream as there is not an ounce of cream anywhere near it. What I can tempt you with is this is a super healthy, tasty alternative to ice-cream that will leave you refreshed and cool without having that slightly guilty “too many calories” type of a feeling. This weekend it’s been super hot, so myself and the toddler have been chilling in the garden, trying to keep cool. Ice-cream is just one of those foods that hits the spot in weather like this. Having heard about frozen bananas making good ice-cream I decided to give it a go. I was very pleasantly suprised. 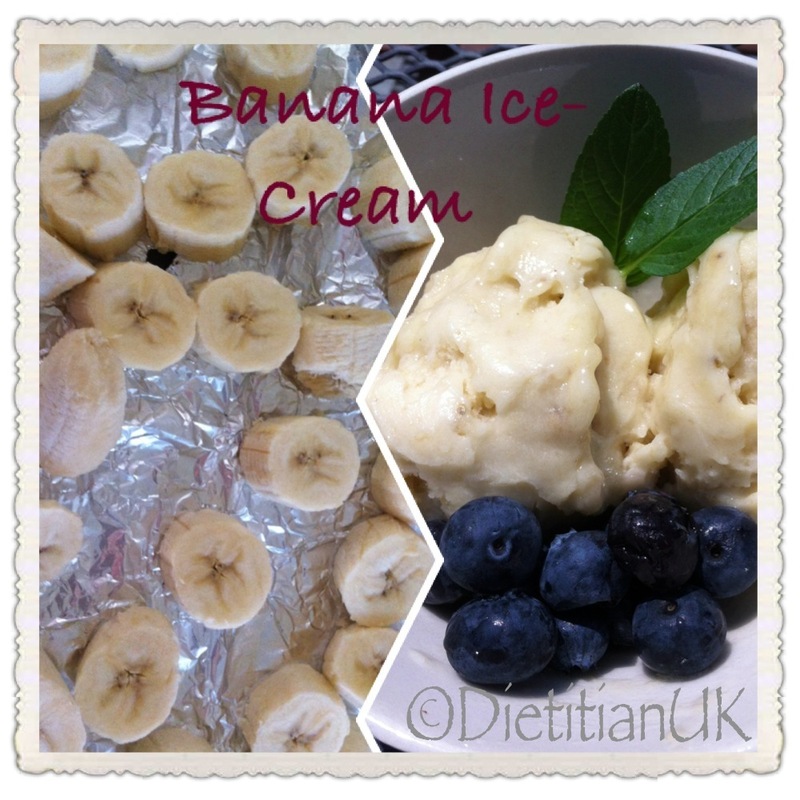 A healthy version of an ice-cream using just 1 ingredient - bananas. 2 bananas, overripe ones are fine. Peel, chop and freeze the bananas on a baking tray, then whizz in a food processor and mix. Eat straight away or refreeze. Peel and blend the bananas. Then place into a tub and freeze. When it’s hot, ice cream calls! 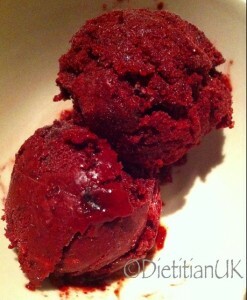 However much I love the creamy taste of ice cream, too much of it’s richness does not agree with my tummy or waistline. Frozen yoghurt is a much healthier option and this one has the bonus of being fulled of calcium and fruit with a little added sugar. So yesterday I went for it and got all prepared by whizzing up this delight. 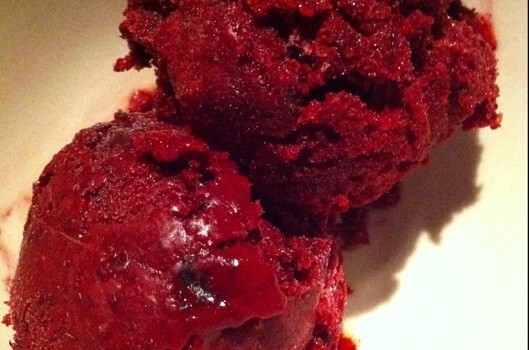 I used frozen fruit from last years blackberry picking, fresh fruit or over ripe fruit would also work but would just need freezing for longer. If you use frozen fruit it’s pretty much ready to eat straight away (as my toddler demonstrated!). Why not experiment with a range of fruit? Let me know your favourite recipes please. A healthy take on ice-cream using just 3 ingredients: fruit, yoghurt and a little sugar. Place the blacberries and yoghurt in a food processor and blend. Add the icing sugar a little at a time, keep tasting it. Place in an bowl and freeze! If you have an ice-cream maker then you can use this, I did, but it's really not essential.